Located just north of Atlanta, the Chattahoochee National Forest contains the southern terminus of the Appalachian Trail along with an abundance of recreational opportunities for outdoor enthusiasts of all interests. 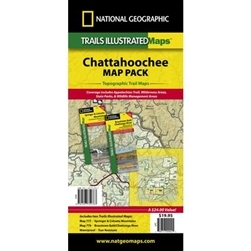 Save 15% by buying this Chattahoochee Bundle Pack instead of the individual Trails Illustrated Maps for Springer and Cohutta Mountains and Brasstown Bald/Chattooga River. 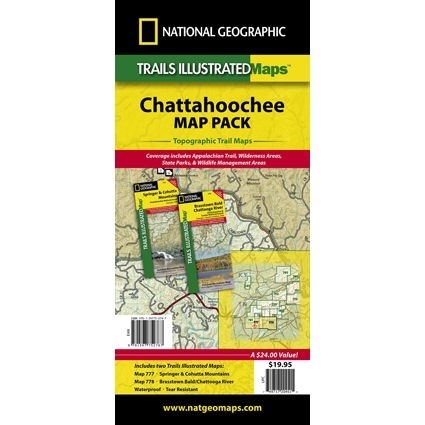 Visit our Springer and Cohutta Mountains or Brasstown Bald/Chattooga River pages to view the maps in detail.